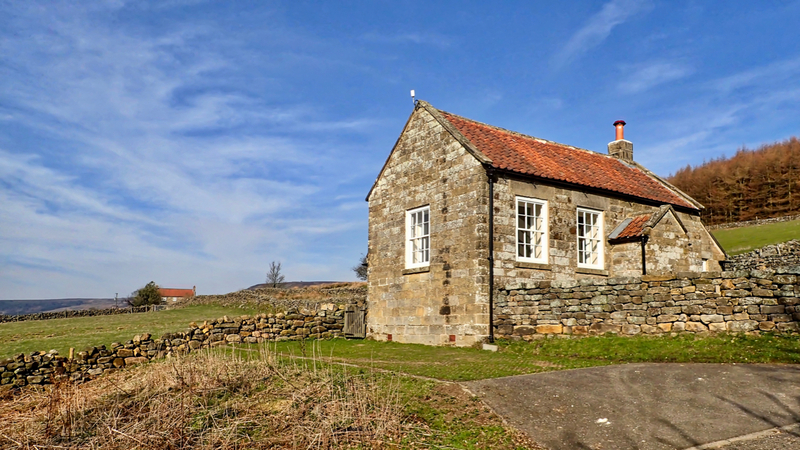 The former schoolhouse, now used as a community centre for the families of this isolated dale, which number around 25 including 9 farms. A far cry from Bransdale at its peak in the 19th-century when the population numbered around 400 including innkeepers, shoemakers, blacksmiths, millers, school teachers, dairymen and jet and coal miners. The small school provided elementary education for the children of these dales families. Renovations were completed in 2008 including adding sustainable features to minimise the impact on the environment. Interestingly, given in the current political situation, the work was part-funded by the European Union European Regional Development Fund. A small amount maybe but providing a valuable asset to this community. I don’t know, what has the EU ever done for us?